Petitioning season is months away and candidates for 2013 races are beginning to position themselves. With many open seats due to term limits and late deciders just entering campaigns, voters will have to pay close attention. 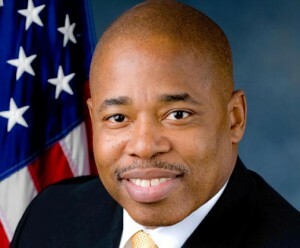 For months, state Senator Eric Adams – who made a strategic long-term plan to make history by running for Brooklyn Borough President – thought he was going to have Coney Island Councilman Domenic Recchia as a Democratic challenger. Just over a week ago, term-limited Recchia suddenly dropped out of the race. Recchia, who is chair of the City Council Finance Committee, is said to challenge Republican Congressman Michael Grimm. Brooklyn’s political punditocracy believes Recchia made a smart move. Recchia will attract national attention and campaign support against Grimm, who is under federal and House Ethics investigations for alleged fund-raising irregularities. With Recchia out of the race, Adams — who has raised an impressive $420,000 – is virtually guaranteed the Borough Presidency, not simply due to lacking a challenger, but on the strength of his diverse bases of support. Once elected, Adams’ Senate seat will open up. If you ever wanted to know what it feels like to be an almost-guaranteed shoe-in for two elected offices, just ask Jesse Hamilton. He knows. Hamilton, an attorney who has established himself in the rough-and-tumble world of Brooklyn politics, is running for the 35th District City Council seat presumably to be vacated by Letitia James, who is strongly leaning towards running as the first African-American woman to campaign for NYC Public Advocate. There are several other active 35th Council seat challengers who have declared their candidacies with the NYC Board of Elections: former 57th AD Female District Leader Olanike Alabi, Laurie Cumbo, founding director of MoCADA, Brooklyn’s first Museum of Contemporary African Diasporan Arts; and Jelani Mashariki, local and international activist. Ede Fox, former Legislative and Budget Director for Councilmember Melissa Mark-Viverito and former Chief of Staff for Councilmember Jumaane D. Williams, has also expressed her intent to run. It is too early to determine who will have financial muscle behind their campaigns based upon January 2013 filing deadlines, but Cumbo has amassed a war chest of $30,000 while Alabi had $10,000. Hamilton — who won reelection last year as Male District Leader for the 43rd AD — has just begun to ramp up his fund-raising. Having paid his dues as a local political operative, Hamilton, a long-term member and current President of the Rosa Parks Democratic Club, will surely get the support of the Democratic machine. Though Hamilton is going for Council, he is also well-placed to get the Democratic Committee nod for the impending Senate special election should he choose to go for it. So far, one other name has surfaced as a possible candidate for Eric Adams’ soon-to-be-vacated seat: 52nd AD District Leader Chris Owens. When asked, Owens said he “is open to discussions” and has not ruled out a run for the Senate seat. Term-limited Al Vann’s 36th Council District is being challenged by 58th AD District Leader Robert Cornegy, Rev. Robert Waterman, Kirsten Foy, Tremaine Wright and Carl Luciano. Rev. Conrad Tillard may also enter the race. Assemblywoman Inez Barron is running for the 42nd Council District seat held by her husband, term-limited Charles Barron. Nikki Lucas and Christopher Banks have registered to run. Former Assemblywoman Diane Gordon is not entering the race, so far. Darlene Mealy is running for re-election in the 41st Council district. Though not yet declared, challengers for Mealy’s seat possibly include “Uncle” Roy Antoine, Anthony Basheer Jones, Reggie Bowman, Bishop Robert Townsley and Latrice Walker. Mercedes Narcisse, who has long been planning to run for term-limited Lew Fidler’s 46th Council seat, will be challenged by Assemblyman Alan Maisel. Narcisse has been endorsed by “Emily’s List” and has a $35,000 fund-raising head start over Maisel.